Fourth time in the tights is apparently the charm for Ryan Reynolds. In a truly touching display of get-back-on-that-horse perseverance, the Hollywood actor has finally scored a hit superhero series, soldiering past the three previous indications that America had little interest in seeing him play a comic-book character. Deadpool is an enormous hit, even bigger than the box-office gurus were anticipating. And despite all of its irreverent, profane insistence that it’s no normal superhero movie, the film sure performed like one: Those squarer, notably absent X-Men have yet to post the kind of numbers their (potential) future teammate did over the holiday weekend. Like a trio of thugs hilariously felled by a single bullet, Deadpool shattered multiple records in one shot: Opening to the tune of $135 million—with more to add once Presidents’ Day is over—the film scored the biggest bow ever for an R-rated movie, a February release, a directorial debut, a Ryan Reynolds vehicle, and anything featuring the description “testicle with teeth.” Fox already gave the sequel a green light, and the studio is probably trying to figure out if it’s too late to insert a scene of Deadpool making fun of James McAvoy’s new chrome dome into their next big superhero movie. 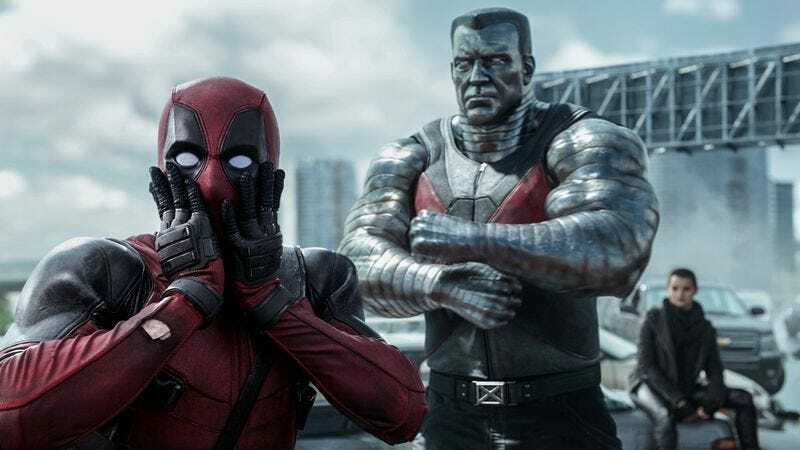 Valentine’s Day weekend wasn’t as kind to the films unlucky enough to open against Deadpool. How To Be Single seemed like a no-brainer for the holiday, especially given that it stars the lead of last year’s big V-day winner. But Dakota Johnson couldn’t push the romantic comedy higher than a third-place finish; it landed behind Kung Fu Panda 3 with a so-so $18.7 million. Next down was Zoolander 2, which suffered the fitting fate of making almost exactly the same amount ($15.6 million) as its 15-year-old predecessor did on opening weekend. (It’s fun to imagine that the exact same people saw both films—even if that idea makes even less sense than the plot of Zoolander 2.) Rounding out the top five was newly minted BAFTA winner The Revenant, still doing surprisingly robust business for an R-rated movie that doesn’t feature a Stan Lee cameo or a single joking reference to Hugh Jackman.